We manufacture and distribute Boltless Shelving, Pallet Rack, FastRak, Cantilever Rack, Wire Shelving and many other Industrial Equipment to fit your warehouse and office needs. 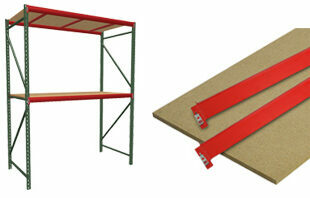 Our series of boltless shelving is constructed using all industrial strength materials. It features an advanced boltless design that provides easy assembly without the use of hardware. 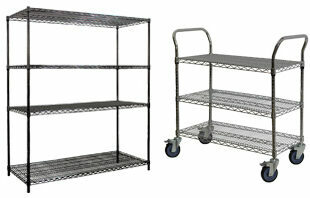 This industrial shelving is perfect for storing large, odd shaped and/or heavy items. We offer 3/4″ particle board decking, 3/4″ white laminated board decking, or wire mesh for shelf surface. Regular duty uprights are constructed of 16 gauge steel and provide 16,100 lbs. capacity per upright. The heavy duty uprights feature a 23,300 lbs. capacity and are constructed from 14 gauge steel. Our wire shelving is certified by NSF International, and features a high-quality chrome finish, which is both attractive and durable. 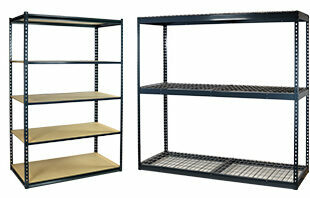 This chrome wire shelving is also available in a black powder coat finish. 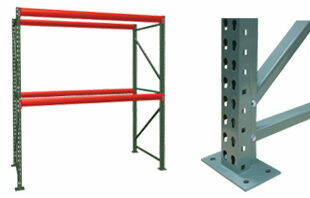 Medium duty and heavy duty cantilever racks are ideal for storing tubes, bar stock or other long materials. 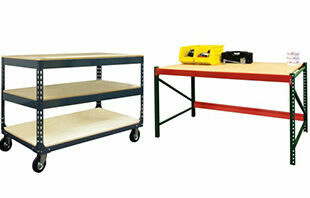 Workbenches are designed for easy assembly and are available in a number of different configurations. 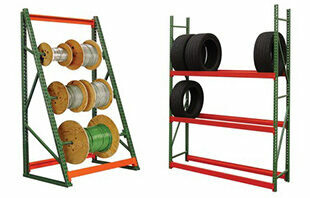 These rugged cable reel and tire racks are super strong and highly versatile. 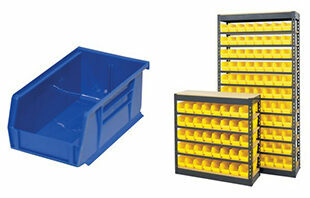 Organize your work area with your choice of industrial storage bins, bin shelving, bin racks, bin carts, parts organizers and more. 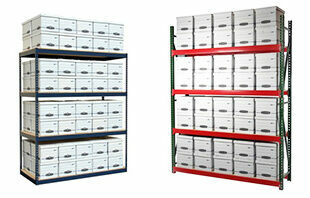 Keep your warehouse or storage room organized with record archive shelving units. Moving supplies from an office to a warehouse, or from a warehouse to a shipping dock our selection of carts & trucks will make the job easier. 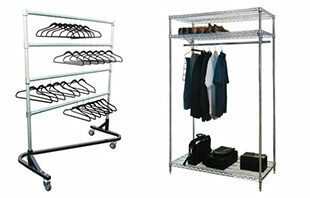 Keep merchandise neat and organized with chrome garment rack and Z-racks. 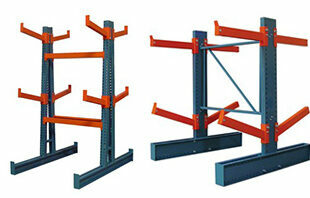 Jaken Co., Inc. has been manufacturing boltless shelving and other material handling products for over 30 years. Jaken Co., Inc. manufactures quality products that meet or exceed the more expensive manufacturer’s standards at a significantly lower cost. Our knowledgeable staff is trained to provide prompt and courteous customer service and support. 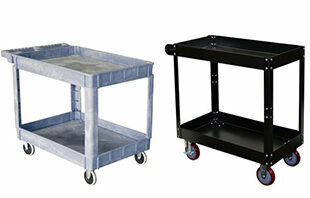 We are working hard to become the “one stop” source for all your warehouse and racking needs.